Send high resolution images directly from your phone! 1. 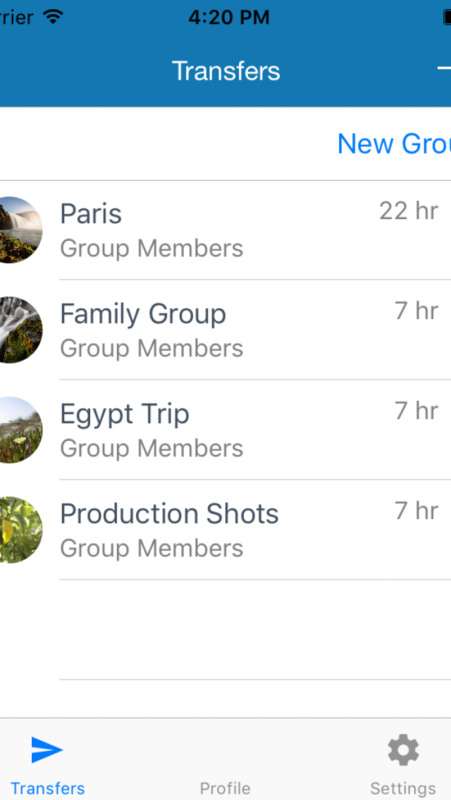 Users can create groups to send and receive pictures inside each group, just like in WhatsApp. 2. If a group member does not have the app, they will receive an email with a download URL link to get the pictures from the web, just like in WeTransfer. 3. Pictures remain 7 days online for others to download, just like in WeTransfer.